The Citadel™ 639 steel cabinet is available as an IP56 rated enclosure or as a ventilated model, for the secure housing of electrical equipment, metering and monitoring devices and network technologies, across a variety of industrial applications. 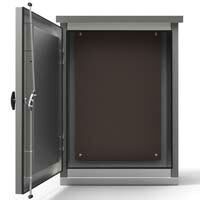 Citadel 639 is a cost effective industrial cabinet at 600 (w) x 300 (d) x 900 (h). 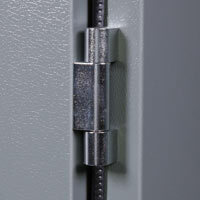 Citadel enclosure cabinets are available in a five different industry standard sizes. 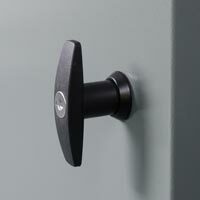 For optimum security the cabinet is supplied with a T-Handle locking system, as standard. Citadel 639 is supplied on a pallet. 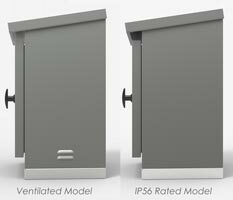 Glasdon, the UK manufacturer of GRP and steel buildings and housings, have extended their range of IP rated enclosures and outdoor equipment cabinets with the launch of five new weatherproof cabinets.